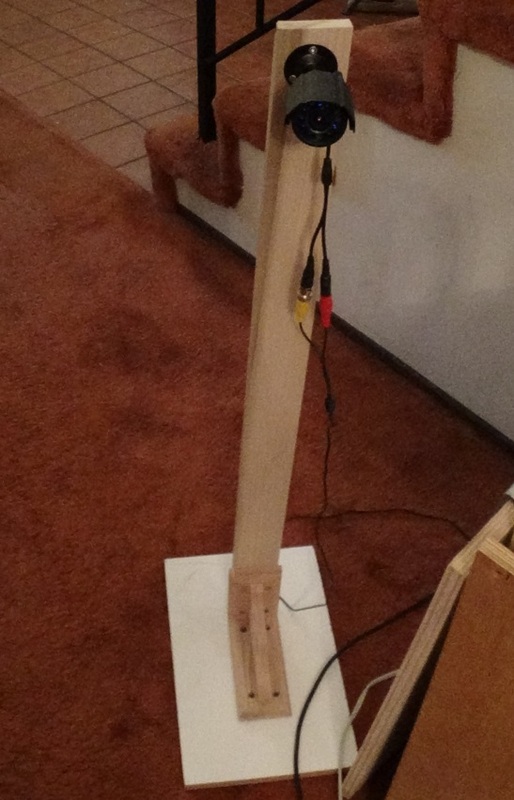 The image above left is that of a video camera with the wood base (white rectangle) being about 10″ x 15″ and the upright being 36″. There are four of these. As I am hardly the world’s best carpenter, I was pleasantly surprised none fell over during the most recent earthquake. None of the weapons moved, let alone fell out of their racks. 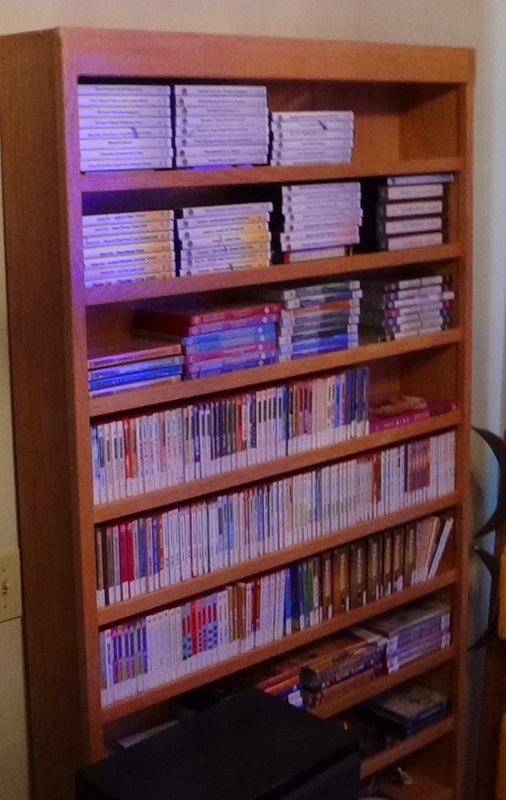 As for the various recordings, the shelves for VCDs and CDs (above right) were built with slight lips specifically for earthquakes. The shelves are so old DVDs had not been invented yet. Since I have not built shelves for DVDs yet I stack DVDs on their sides as seen in the top three shelves. I had thought some of the DVDs would shake out on to the floor, but they stayed on the shelves.